At Outskirts Press, Inc., we take great pride in celebrating the success of our self-publishing authors with our Self-Publishing Author Spotlight. This week we highlight self-publishing author Skip Stover who has thus far published three successful books with Outskirts Press, the last of which is currently being made into a movie. Skip Stover is a poet at heart. Writing for more than three decades, he has been published in numerous books and magazines and won the Golden Poet Award in 1982. Inspired to write at an early age, Skip writes romantic poetry, lyrics for songs, and believes the emotion of love to be the greatest feeling one can possess. He says, “When romance dies in a relationship, the relationship dies. 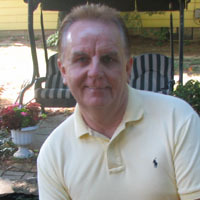 From April 2007 to April 2008, Skip donated 100% of his royalties from Solitary Thoughts, his first book published with Outskirts Press, to the Ronald McDonald House, to help children and their families. His second book, published in 2007, was Dangerous Love: 2010 A.D., which, according to Diane Lyn, co-host of the 101.9am Lite FM Morning Show, catapults the reader into the year 2010! Oh, how time flies! 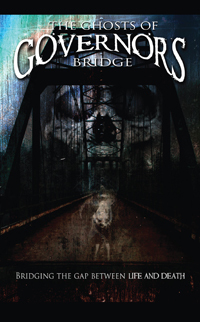 Why did you decide to write The Ghost of Governors Bridge? I like to write romance novels. My first book, with OP was love poems, Solitary Thoughts. My first novel was Dangerous Love, 2010 A.D. It is a suspense/romance novel. My second novel, The Ghost of Governors Bridge took some thinking. I did a poetry reading at a private school. The teacher told me of a ghost story that was part of the secret of the school. I talked with the headmaster and we both decided it might interfere with registration. I did some research and found information of a bridge in Bowie, MD. I wrote it down and the title rolls of the tongue. Think about it for a second. I decided to write the novel and have it end romantically. Tell us about the plot… what happens, and why will it make a great movie? The plot of the novel is on the back of the book and the book trailer on You Tube. The plot for the movie is done by a writer for the movie. I have nothing to do with that. Once we have the entire agreement, the movie company can do what they want to produce the movie. This is a long drawn out process. First you must get someone in the movie business to like your novel. I did that by sending my novel to many studios. The motion picture company that responded has ties to Maryland, [where I live]. We discussed the novel, at a round table and everyone loved the idea of a movie. They helped me do the book trailer. They took it from me after my attorney drafted the contract for me. That went back and forth for a while, then we agreed on the final contract of where it is currently. It is in their hands now. Anyone can check with Murchison Motion Pictures and find out more information by clicking here. Thanks Skip! We can’t wait to see it! Congratulations on all your incredible success! Congratulations to the Outskirts Press Top 10 Bestsellers!